Talking to Lee Miller reminds me what I love about craftsmen. He has that mix of sincerity, humility and zeal that you only seem to find in people who must mix the aesthetic and the functional on a daily basis. 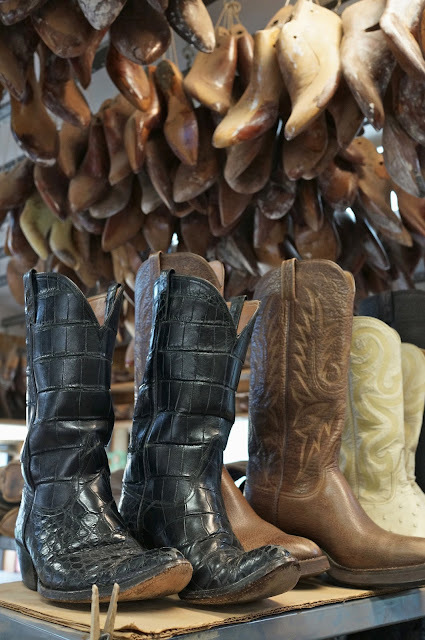 Lee is a maker of bespoke cowboy boots based in Austin, Texas. I visited him out of pure curiosity, interested in seeing what parallels there were with bespoke dress shoes. There were quite a few, but also a few innovations that London’s best makers could learn from. I’ll deal with the background and a few specifics here, then write a separate post about the boot-making process. 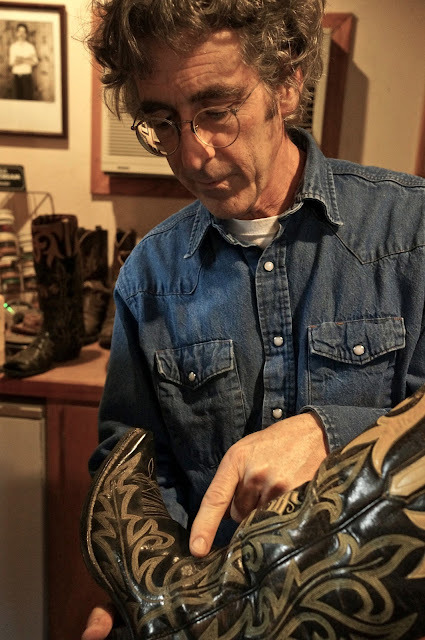 There are 15 bootmakers in Texas that Lee knows of: six in Houston, five in San Antonio, three in Austin and one in Dallas. Not all make to the same standard as Lee, but it is by no means a dying industry. There are no makers of bespoke dress shoes. Lee started in 1972, learning to make boots at a school in Oklahoma. 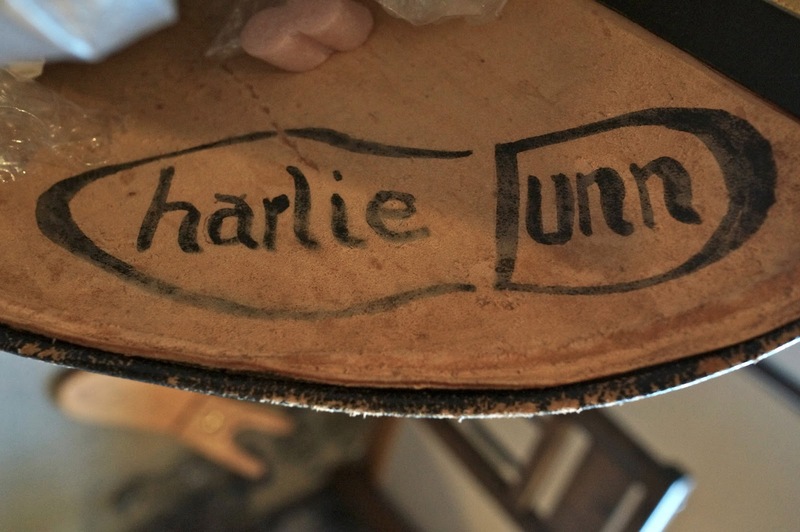 In 1977, at the age of 18, he joined legendary bootmaker Charlie Dunn as an apprentice. Charlie had heard of Lee and, when he needed a new apprentice, spent four months trying to track him down. Lee was living on an Indian reservation in Utah. When Lee set up his own business in 1986, he saw it as his mission to carry on those traditions. He has scores of old lasts going back to 1920 that inform his designs and toe shapes. His book shelf is full of out-of-print works on bootmaking, going back to 1928. “A guy who lives in Dallas gave them to me. He’s 90 now and wanted to give them a good home,” he says. But Lee has also innovated, and constantly learnt from others. He switched to plastic lasts in 1991, but shaves them down as well as adding layers of leather. He uses a ‘last trap’, an old machine (pictured below) that allows you to find the precise tread point on a last – where your sole hits the ground first, ideally on your second metatarsal. As cowboy boots rarely have fittings, the initial information is key. Lee takes standard measurements and tracings, as any bespoke customer would be used to, but also traces the foot in profile. Lee’s boots start at $2000. Crocodile starts at $4000. Unfortunately there is a 4½- year waiting list. You can follow the discussion on Lee Miller, bespoke bootmaker, Austin by entering your email address in the box below. You will then receive an email every time a new comment is added. These will also contain a link to a page where you can stop the alerts, and remove all of your related data from the site. Wish I had the gumption to buy a pair of those black alligator boots in the second picture. Me too, almost… I absolutely loved them, but I know I’d never wear them. They would sit on the mantelpiece – rather like the photo actually.